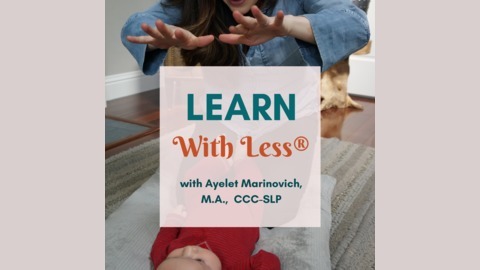 Join host Ayelet Marinovich for a “family enrichment” program, as she discusses various topics on development in infants and toddlers. For weekly sessions of music, play and developmental information for both you and your baby, subscribe on iTunes and visit www.strengthinwords.com! Stay connected by joining our newsletter: bit.ly/siw-news. What kind of early parenting support system do you have in place? 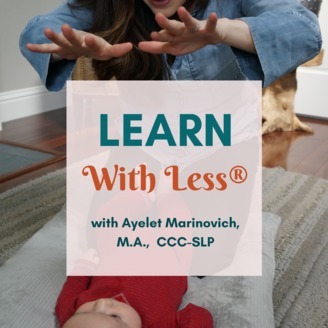 In this episode of the Strength In Words podcast, Ayelet chats about the origins of Strength In Words, the need for support in early parenthood, the art of community building for new parents, and the joys of connecting with other parents and caregivers. Strength In Words was started to fill a much-needed gap for parents and caregivers who know they want more and who feel they “should” be able to create more out of this special, precious time with their babies and toddlers, and who want to understand more about how their babies learn so they can support them with simple activities. What started as a way to enrich both young children and their parents and caregivers became an entire platform for parent education and parent support, framed through the Learn With Lesscurriculum. These podcast episodes, our blog, social media presence, the bestselling books Understanding Your Baby and Understanding Your Toddler, the Strength In Words Community LAB, our email newsletter, and our live, local workshops, are the ways in which we disseminate useful information about infants and toddlers for the grownups who love them. I like being around other people. I’ve always considered myself an extrovert, and I thrive on conversation. Connection to other people has always been a major value of mine. When I had my first child, I was living abroad, and knew that if I wanted to connect with other people, I’d have to make a concerted effort. The thing is, when you’re sleep-deprived and your body and brain and entire system are recovering from the experience of bringing a human into the world, it’s kinda hard to make an effort. But I had a few things going for me. First of all, I’d had the foresight to participate in a birth prep program and a prenatal yoga class during pregnancy. I’d already started to forge some relationships through those activities, and hope that the other women who were having babies around me were also feeling like they could use some connection. Secondly, I had some tools in my back pocket from having worked professionally with parents and caregivers with young children. I knew a thing or two about play, and I knew a lot about child development. So, I decided to dangle a proverbial carrot. I invited my new friends to get out of the house, and join me to play with their babies and hang out. Each week when we met, we sang a few songs, talked about what our babies were doing, about what they were learning about with regard to cognitive, communicative, motor, and social development, and I showed them some simple strategies I had come up with, ideas to play with household items, or creative ways to use simple toys. We used play, language, music, and movement to connect with our babies, with each other, and find beauty in the mess of our new selves. Soon, we all had a bunch of tools in our toolbelt for connecting with our tiny humans. As our babies grew and their needs changed, we kept meeting. We had these amazing shared, interactive experiences with each other, and with our babies. We created community around the transition into parenthood. Moms, dads, grandparents, babysitters, siblings, cousins – all were welcome. And then my little family and I left the city of my son’s birth. We left our friends, our community, and I wanted to make sure that I could keep creating this… this thing. It had become part of me – creating a space for families and friendships. And so, the Strength In Words podcast was born. Now that my eldest is 5 years old and my younger son is 2, I’m finding that I have a tiny bit of space to reflect. I’ve created a LOT of content over the last 3 years – with this podcast, the blog, a social media presence. I’ve experimented with form, using video to connect with you, audio through this podcast, and with text. I started a virtual community, because I enjoy connecting with so many of you from all over the world, and I get to know you and understand you. What I find amazing is that parenting truly is the great equalizer. It doesn’t matter where you’re from, what language or languages you speak, whether you work full time or whether home is your work – all of those things are just details. What defines early parenthood is that transition. We become different. A different person is born from us, alongside our children: we simultaneously learn to get in touch with who we are as parents as we try to get to know our babies. We may or may not recognize ourselves. Many of us come into parenthood with full confidence that we’ll tackle all of life’s parenting challenges with the success that we had in school or our careers. And we’re amazed and mystified when a 7 pound poop machine throws us for a loop on the daily. And that connection to other people, that synthesis of information, that need to figure out what’s working for other people and what might work for us… becomes a matter of survival for some. That’s why I do what I do. That’s why I share the conversations I have with you and with others on this podcast. That’s why I wrote the books Understanding Your Baby and Understanding Your Toddler, which form the basis for the curriculum I developed when my baby was born. I call it the Learn With Less curriculum, because that’s really what it is. My goal is to help you maximize what you already have and what you’re already doing with your baby, so you’re empowered to “get it right” and able to confidently unlock the power of everyday routines and everyday objects, so that you can support and connect with your tiny human. I know we all learn through different means. Some people prefer reading a book on their own, and some want to talk through what they learn. Some of us need the power of that connection… and some of us are “connection’ed out” after being attached to another human or set of humans for a few months or years. I’ll be honest – I have been hiding behind my computer for the last couple of years, and I have not gone out and formed many new relationships in person, because I constantly have people on me. By the end of the day, I’m exhausted. But recently, I have been feeling the need to build relationships. So I’m coming out from behind the screen, and I’m starting to lead live, local workshops again. I’m starting to remember how powerful it is to connect with other people in early parenthood. The reality is that not every moment of parenthood is anything close to koselig. But when we feel less like we’re winging it, and more like we have the power to create these moments that support and boost our baby’s development, using what time, energy, and materials we already have, that, to me, is koselig. And that’s why I continue to bring you content through Strength In Words. Because we have that power to create together. And this weekend, I’m inviting a few families into my home to create moments like these, for a live and local workshop using my Learn With Less curriculum. So if you happen to be in the San Francisco Bay Area, I’ll be leading these from time to time. If you’re hearing this before March 31, 2019, you’re welcome to come to the inaugural workshop – just head to strengthinwords.com/learnwithless – you’ll be prompted to answer a few questions so I can make sure I tailor the workshop to serve your needs, preferences, and address your major challenges, and then I’ll send you all the details! And if you’re not local but you still want to be part of a community of families and educators who want to become more intentional caregivers, I invite you to join the Strength In Words Community LAB, where the Learn With Less curriculum also lives, and where we address those most pressing challenges – things like understanding infant and toddler development, planning simple activities to engage with our tiny humans, making more from less, setting limits and managing behavior, setting up the environment to maximize learning, and much, much more. Just head to strengthinwords.com/learnwithless for all the details. And now, I’d love to hear from you. What’s your koselig? You can write me at admin@strengthinwords.com, or tag me or DM me in a post on Instagram. I’m @strengthinwordspics – I’d love to hear from you! Feel free to tell me a bit about yourself, and what kind of connections you crave? Early Development and Developmental Activities Find that here! How to Support Development Without Buying Anything New Find that here! The post Support and Community For New Parents appeared first on Strength In Words.